PASPA may have fallen, but its long-awaited demise hasn’t quite signalled the end of federal intervention into sports betting. Not yet at least. As the US continues, state-by-state, to embrace legalized sports betting there is one subject that continues to polarize opinion like no other; the prospect, no matter how remote, of federal oversight of the business. Supporters of federal intervention argue that it would secure integrity for US sport and lead to a unified code of practise with sportsbooks required to use only official sporting data from the professional leagues. Those who are against such a move contend that sports wagering has already demonstrated its ability to self-regulate, citing years of trouble-free sportsbook action in Nevada as a true example of a business that has its house in order. The controversial subject will be given a high-profile airing at what is being billed as the biggest sports betting event of the year in New York this April; Betting on Sports America. A special panel has been assembled to debate and discuss in more detail exactly what the implications might be for operators in a sports betting space governed by federal policy makers. Among those to speak will be Dustin Gouker, industry expert, highly respected journalist and Head of Content at Catena Media who believes that federal intervention might be welcome, but only in a very limited sense, namely chasing down illegal operators. Talking about the potential difficulties associated with federal oversight and the recently published pro-federal bill sponsored by Senators Orrin Hatch and Chuck Schumer, he noted: “My biggest issue is this; outside of tribal gaming and horse racing, the federal government has pretty much stayed out of the business of regulating gambling. Turning to April’s Betting on Sports America event, we asked Gouker what would be his main message to delegates. “Integrity of sport and as it relates to sports betting is an important issue, but it’s not like it just became an issue because of the fall of PASPA,” he responded. “There’s been plenty of legal betting in Nevada and in Europe and other markets for a long time. There’s no shortage of offshore sites where you can easily place a bet if you’re an American. 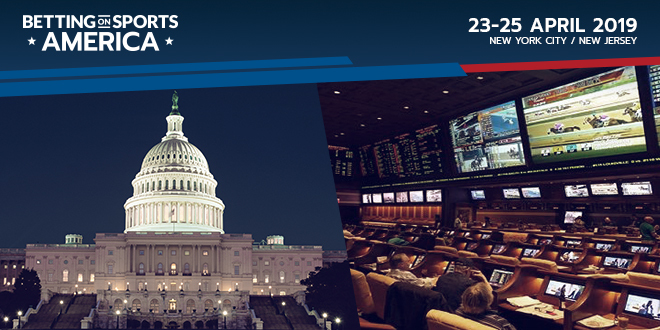 Betting on Sports America is the largest sports betting conference & exhibition and will present 175 leading industry speakers across 40 sessions and 3 conference rooms. The 61,000 sq ft large exhibition will bring delegates 60 exhibitors, world class hospitality, and the very best networking and business opportunities. For more information or to get tickets please CLICK HERE.